The hotel’s unique features and well-appointed suites are complimented by the deluxe service. A selection of restaurants pampers you with a variety of succulent dishes, from light snacks, contemporary dining, to a full service Chinese Restaurant. Why not let yourself go and indulge in the roof top pool, the live night entertainment in BAR36 and home to the Cairns Dinner Theatre. Whether a single person or large group, your stay will be a special and memorable experience, one of pure extravagance. The Pullman Suite has a separate lounge room with sliding plantation shutters leading into the bedroom with king bed and decadent bathroom. This suite had a free standing claw bath with magnificent water views through the bedroom. Private views facing east towards Trinity Bay. All rooms feature iPod docking stations and suites offer complimentary Nespresso coffee machines and large screen televisions. This large suite is one of the region’s most luxurious suites. Located on the top floor of the hotel with a wrap around balcony overlooking the city and water views. 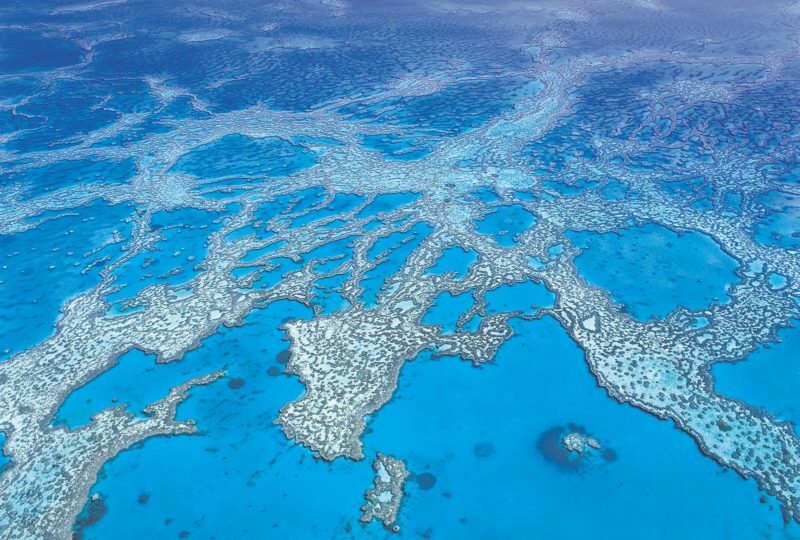 This is Cairns’ most luxurious suite, 170 square metres and featuring private office, dining facilities for eight with kitchenette, generous lounge with outstanding views and king sized bedroom suite. The entrance hall leads to additional bathroom facilities and a well appointed walk in robe. 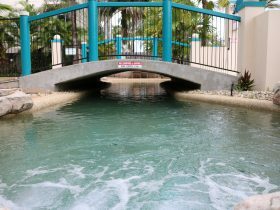 Bathroom facilities include large marble shower and Jacuzzi. 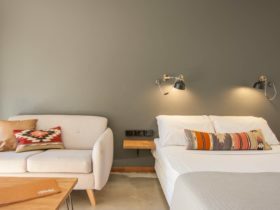 All rooms feature iPod docking stations and suites offer complimentary Nespresso coffee machines and large screen televisions. Luxury accommodation for that special guest. 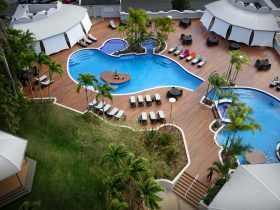 These extra large rooms are beautifully appointed with classic tropical style and all the features you would expect from Cairns’ leading five star hotel. From the bathroom which features a separate shower with two shower heads and a marble seat, the vanity unit with two basins and steamless mirror, plus a larger Jacuzzi bath which, when the sliding shutters are moved back, can give you a view of the fantastic tropical Trinity Inlet right from the bath. The room has a pillow menu for the bed which gets great reviews. If you have to work, there is a desk, chair, lamp and internet access to help with this. All rooms feature iPod docking stations and suites offer complimentary Nespresso coffee machines and large screen televisions. 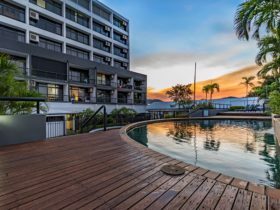 These rooms are beautifully appointed with classic tropical style and all the features you would expect from Cairns’ leading five star hotel. From the bathroom which features a separate shower with two shower heads and a marble seat, the vanity unit with two basins and steamless mirror, plus a Jacuzzi bath which, when the sliding shutters are moved back opens out to the main bedroom. The room has a pillow menu for the bed which gets great reviews. If you have to work, there is a desk, chair, lamp and internet access to help with this. All rooms feature iPod docking stations and WiFi services. 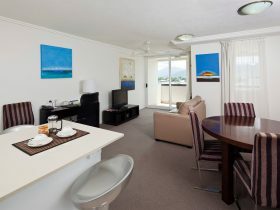 These rooms are beautifully appointed with classic tropical style and all the features you would expect from Cairns’ leading five star hotel. From the bathroom which features a separate shower with two shower heads and a marble seat, the vanity unit with two basins and steamless mirror, plus a Jacuzzi bath which, when the sliding shutters are moved back, can give you a view of the fantastic tropical Trinity Inlet right from the bath. The room has a pillow menu for the bed which gets great reviews. If you have to work, there is a desk, chair, lamp and internet access to help with this. All rooms feature iPod docking stations and WiFi services.